Mahanagar Telephone Nigam Ltd (MTNL), the largest Broadband service provider in Delhi and Mumbai circles, today announced the launch of a two new Unlimited Broadband Combo plans (including land line) at Rs.599 and Rs.999 with 512 Kbps and 1 Mbps downloading speed respectively for its subscribers in Delhi telecom circle. 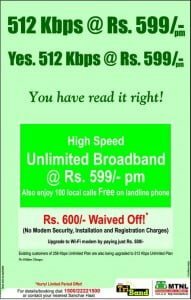 MTNL Delhi’s 512 Kbps Unlimited Brodband Combo plan will cost Rs.599 per month along with Rent free Land line,100 free local calls.While 1 Mbps Unlimited Broadband combo Plan comes at Rs.999 per month along with Rent free Land line,100 free local call and High Speed Broadband connectivity at 1 Mbps. MTNL which is the number one Broadband service operator in Delhi and Mumbai in terms of Subscriber base, provide always ON, faster Connection with dedicated bandwidth of minimum 256 Kbps on its ADSL2+ technology.With the Triple Play MTNL Broadband (Triband), subscriber can talk on phone and surf Internet or play on-line game at the same time. 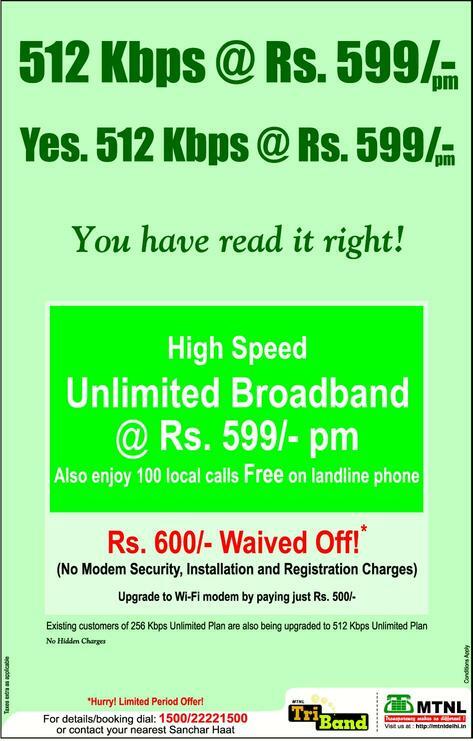 MTNL providing the truly Unlimited Broadband plan without any Fair Usage Policy (FUP). 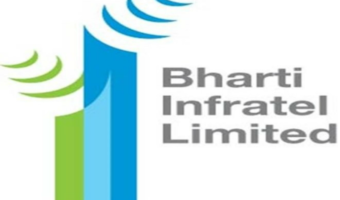 Its 256 kbps broadband connection starts from Rs.49 per month. For more information one can Dial 1500 from MTNL phone or 22221500 from other service providers. Any body tell me about downloading speed of [email protected] of mtnl plzz….. I need a broadband connection with 100-200 calls free plan. Please tell me about the plan what plan do you have monthly basis.